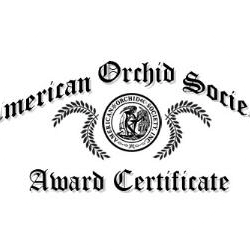 Oncidium was first described by O. Swartz in 1800 in Kungliga Svenska Vetenskapakademiens Avhandlingar. The name is derived from the Greek word onkos (for mass or pad). 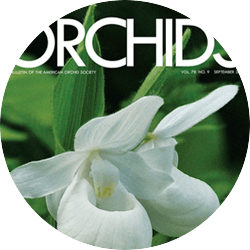 The genus is not only one of the largest and most popular cultivated orchid genera, it is also a conglomeration of considerably distinct species that have given taxonomists serious problems. 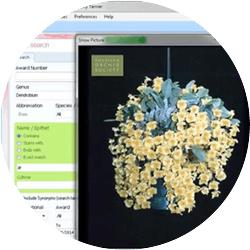 During the last 25 years many species have been shifted to new genera or transferred to other, existing genera, notably Cyrtochilum, Psychopsis, Tolumnia and Trichocentrum. Oncidiums occur in just about any imaginable habitat. They are, with few exceptions, epiphytic plants. Oncidiums usually produce long, branched, many-flowered, erect to arching inflorescences bearing small to fairly large flowers often in colors from yellow to brown, rarely concolor but usually marked or blotched dark brown. Some of the most popular ones are Onc. leucochilum, Onc. tigrinum, Onc. sarcodes and Onc. varicosum. It is impossible to assign a temperature range (other than cool to warm). 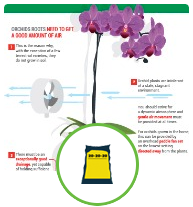 The grower has to obtain the in situ conditions. 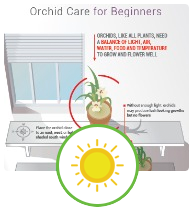 These plants grow in shaded to bright, indirect light. 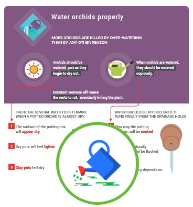 Weekly watering during the warmer part of the year, reduced watering during the cooler part of the year. Humidity ranges from low to high depending on the in situ conditions. Fine to coarse medium; provide good aeration. Bechtel H., Cribb P. and Launert E. 1992. 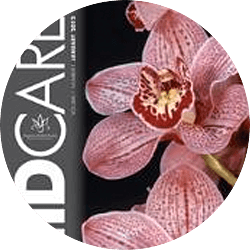 The Manual of Culltivated Orchid Species 3rd ed. MIT Press. Königer W. 2005: Oncidium. Helga Königer Verlag. 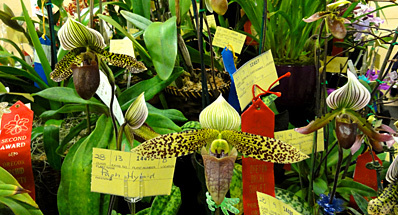 Schultes R. E. and Pease A. S. 1963: Generic Names of Orchids. Their Origin and Meaning. Academic Press.